Resource Library > Customer Stories > U-Shin Ltd.
U-SHIN is a global automotive parts manufacturer, specializing in automotive system appliances and mechatronics. Its main product line includes lock sets, electronic steering column locks, climate control panels, door latches, keyless entry, door handles, switches, power closure systems and rear access modules. U-Shin's expertise ranges from mechanical machinery design to electronic engineering and software, offering full support from development and design of various parts and systems to manufacturing. Many of the automotive parts and accessories U-Shin produces are manufactured with zamak, an alloy with a base metal of zinc. “Approximately, 10 tons of zamak per day are produced from U-Shin’s zamak foundry which is one of the largest foundry locations in Europe,” states Ahmed EL ABIDI, CAE Manager and Senior Expert of U-Shin. U-Shin takes pride in being a worldwide leader in performing high pressure die-casting with zamak. 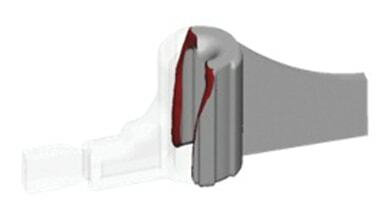 With the challenge of outputting more than 100 tools per year, U-Shin recognizes that optimizing these tools as well as the design and manufacturing process not only reduces time and cost, but is also a key factor in providing its customers with the reliable solutions they expect and demand in the automotive industry. Understanding the flow and material characteristics of zamak is crucial in producing a quality and reliable part. Being able to simulate, observe and have better insight of this material is one of the many benefits U-Shin has seen by implementing Altair Click2Cast casting simulation software. “By using Altair Click2Cast, we are able to better understand the flow of zamak and identify the causes and location of porosity,” notes Ahmed. With the extensive material database that Altair Click2Cast offers, companies like U-Shin can simulate the casting process for various parts under a variety of stresses. 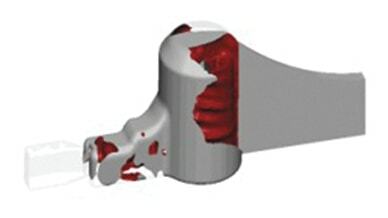 One of U-Shin’s most recent projects involved analyzing the failure of an automotive dead lock pin and redesigning the part based on the simulation results in Altair Click2Cast. The point of failure in the dead lock pin occurred during the vibration test. “While performing the vibration test, the movement of the slider was blocked by the zamak body which resulted in the pin not receiving the proper amount of shocks until breakage,” explains Ahmed. 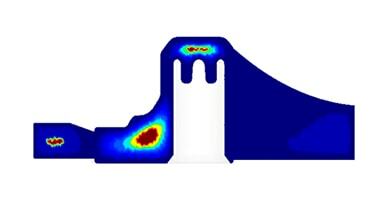 After running a simulation in Altair Click2Cast and an experimental test, it was clear that the area of breakage occurred where porosity appeared in the casting simulation. Ahmed noted, "Once we were able to identify this point of failure, we could then redesign the part and remove all porosity from the critical zone. 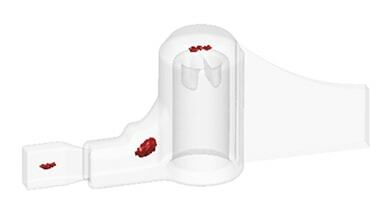 Die-casting simulation, result analysis and design optimization for automotive dead lock pin. 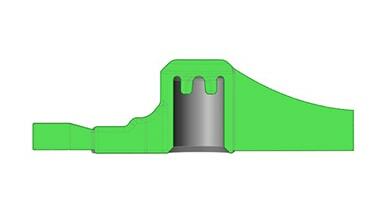 Employing Altair Click2Cast to perform testing and optimization in order to create a sound, redesigned part. 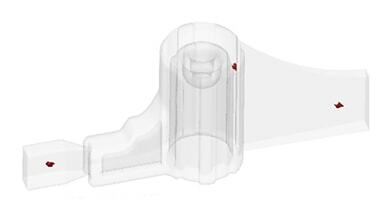 Optimization of injection speed to remove turbulence due to air entrapment. 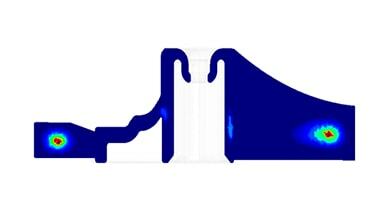 Prediction of the critical zone (porosity location) accurately in the part to assist in the proper design modification. 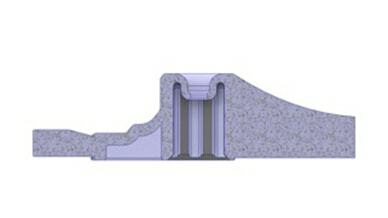 Reduction in porosity from 0.45mm3 to 0.03mm3. U-Shin Ltd. founded in 1926, is an automotive part supplier providing reliable and innovative solutions to meet the expectations of the most demanding customers around the world. U-Shin Ltd. specializes in the product development, design, manufacturing and selling of mechanical and electrical systems and components and various system devices and control machines.